The surface of the metal is bright and without burr. 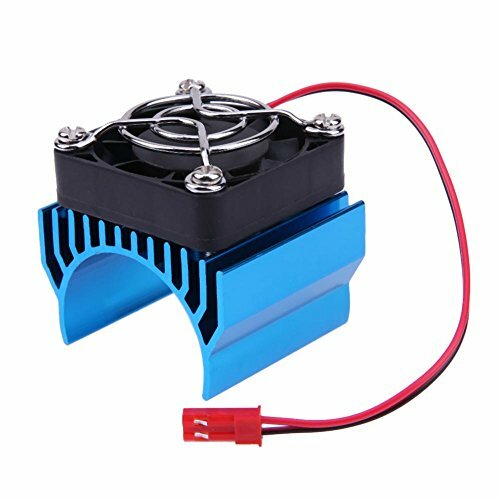 This heat sink fits for 540,550 and 3650 size motor, it will come with a 5V cooling fan, to protect your motor. The cooling fan can power up from the receiver, using conveniently and easily. Cooling fan: 4 x 4 x 1cm/1.57 x 1.57 x 0.39in, large cooling fan. 1. Due to the different monitor and light effect, the actual color of the item might be slightly different from the color shown on the pictures.